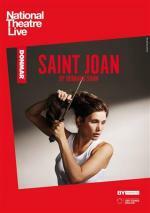 Gemma Arterton is Joan of Arc, broadcast live from the Donmar Warehouse. Bernard Shaw’s classic play follows the life and trial of a young country girl who declares a bloody mission to drive the English from France. As one of the first Protestants and nationalists, she threatens the very fabric of the feudal society and the Catholic Church across Europe. 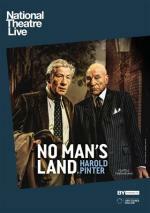 Following their hit run on Broadway, Ian McKellen and Patrick Stewart return to the West End stage in Harold Pinter’s No Man's Land, broadcast live to cinemas from Wyndham’s Theatre, London. One summer's evening, two aging writers, Hirst and Spooner, meet in a Hampstead pub and continue their drinking into the night at Hirst's stately house nearby. "Sensational... One of the productions and performances of the year. Smartly conceived and surprisingly understated reading of an overfamiliar classic – lent a fresh translation by Patrick Marber – A bold, clear, finally harrowing account of the play." - The Telegraph. “I’ve no talent for life.” Just married. Bored already. Hedda longs to be free. Hedda and Tesman have just returned from their honeymoon and the relationship is already in trouble. 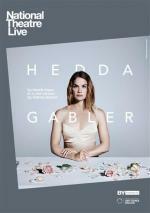 Trapped but determined, Hedda tries to control those around her, only to see her own world unravel.